In our most recent blog we told you about some of the fun activities you can expect your kid to experience when they visit our Northbrook kids’ summer camp. Over the course of many weeks, kids will experience a wide range of activities that will exercise their bodies, such as hiking and our indoor obstacle course. They’ll also be working on their observations and deductive skills, like during outdoor exploring and daily missions. And let’s not forget about the lifelong skills that they learn that could help them make it if they’re ever lost in the woods, such as orienteering, first aid, and other survival skills. But as it turns out, that’s not all they’ll be learning while they’re here at our 2017 Leadership Summer Camp here in Northbrook. Let’s take a look at some of the other activities that they’ll be taking part in while they attend our day camp. Let’s start off with one of the most important aspects of our camp. It’s so important, in fact, that we call our summer program the Leadership Summer Camp. Natural leaders will always often take the lead, but there are quiet leaders who might not otherwise get that chance. We think that every child should have the chance to lead. They might like it, they might not. But everyone has to lead at some point in their lives, whether it’s a huge company or just being a parent. The simple skills that kids learn will be useful to them throughout their lives and include listening to teammates, decision making, and accountability. One of the reasons that we opened our kids’ gym was so that kids would have a year-round place to go to get exercise. Sometimes that will include our indoor obstacle course, while other times this fitness might take place outdoors. 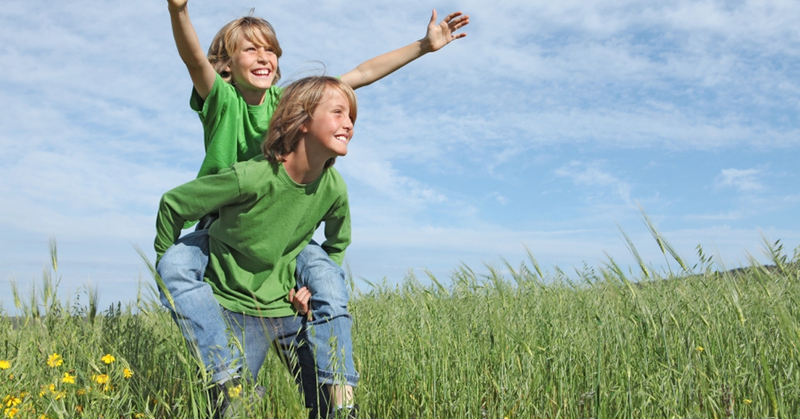 Either way, our camp is an excellent way for kids to stay active in the summer months. Sports are another great way for kids to be active during the summer. If your kid lives and breathes baseball or soccer or tennis, then it’s likely that they’ll want to spend the entire summer at one of those day camps. But if they have a general interest in sports and like to play all of them, our camp is certainly a good way for them to get a variety they’ll all enjoy. If they don’t like the sports choice on a particular day, they don’t have much to worry about because it will probably change tomorrow! The fact is, archery is great fun! But beyond that, it can also be an important survival skill (especially if we end up in a Walking Dead or Hunger Game situation!). It’s certainly something that every kid looks forward to. Oh, and let’s not forget about the scientific aspects of archery. There’s the potential energy stored in the bow, the resonance of the strings, the angle of the arrow as it loses its kinetic energy and is affected by gravity. Archery brings together many scientific principles that kids can explore. Our summer camp program is also a great time to teach kids about the safety of archery. While kids are often made aware of the dangers of guns, it’s important for them to know just how dangerous a bow and arrow can be (wars have been won with them, after all). We’ll make sure they know the basics of keeping themselves and their friends safe. While we’re on the subject of survival skills such as archery, let’s talk about another skill that kids might learn while they’re with us: camouflaging. While it’s not needed much outside of a military setting, you never know what events in the future could cause a kid to need the skills when they grow up. Plus, it’s just plain fun. Will the topic be about general clothing choices? Will a ghillie suit show up? What about camouflaging yourself with local flora? Kids will have to show up to find out! Both founders of our summer camp’s base camp, Hot Ground Gym, are ex-military. So do we know the best way to go on the offensive? Most certainly. But we’re much more interested in teaching kids the “defense” part of self-defense. Sometimes that means using words to try to defuse the situation. Other times it means disarming an attacker and subduing them until others can help. We understand how important it is for a child to not appear to be the aggressor in situations, so we’ll teach them the best ways to get out of trouble instead of escalating it. Here’s something that you don’t see at many summer camps (unless it’s a cooking day camp, of course). We believe that everyone should have some cooking experience, because whether they’re helping out around the house or eventually go to college or rent their own apartment, they’re going to need some cooking skills. So why not start them off early? We eat outside on most days the weather allows, and that includes using the grill or campfire. And this isn’t just a basic meat-fest either; they’ll also be learning about healthy sides and making salads. After all, we’re big on body health and fitness. Everyone will take part in the preparation of the food during the week, because it’s all about working together as a team. Once the meal has been cooked, it’s time to clean. Just as cooking for others is important, so is taking the responsibility of cleaning. In truth, though, most kids don’t mind. They realize that it’s an important part of being on a summer camp team, and they’re certainly not doing it alone. It’s just one more thing to do with friends, and it gives them some cleaning skills that they might just bring home! The fact is, we’re interested in helping the entire child grow at our kids’ summer camp here in Northbrook. (We also offer a similar camp in Vernon Hills, if that’s where you live). Camps have already started this summer, but there’s always room for more! Check out the brochure right here and sign up today!